* 1. 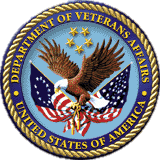 Did you find the content of the VA OCONUS Connection Bulletin to be helpful and informative? * 2. If you answered "No" to Question #1, please explain why you provided this response. * 3. For those who are interested in filing a claim or appeal, did the content of the VA OCONUS Connection Bulletin assist you in filing a claim or appeal? * 4. What topics would you like to see addressed in future editions of the VA OCONUS Connection Bulletin?